Visiting Hours: Friday, January 18th, 9 a.m. - 10:15 a.m. at our West Sayville funeral home. Funeral Mass: Friday, January 18th, 11 a.m. at St. Joseph's RC Church, 46 Church Street, Ronkonkoma. Interment to follow at Washington Memorial Park, Coram. Marie Martinez, 88, a loving mother, grandmother, great grandmother, sister, and aunt passed away on January 15, 2019. 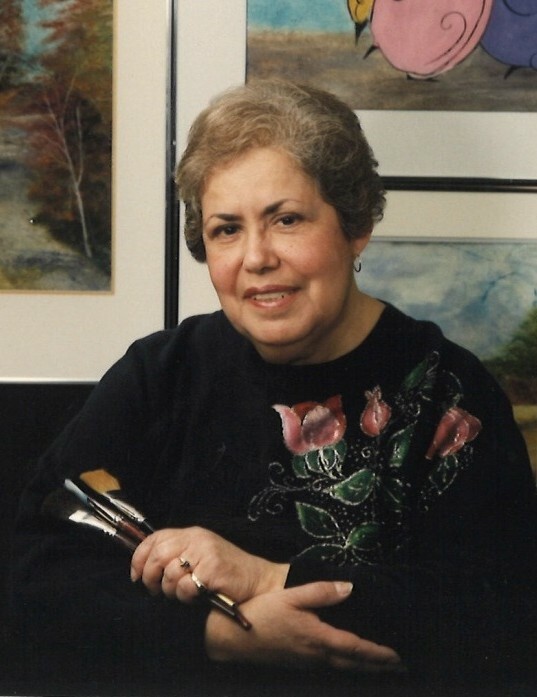 Marie was a professional artist who graduated from the School of Industrial Arts in Manhattan, NY and dedicated her life to the fulfillment of her passion. As a fountain of creativity, Marie was an innovator in the field of Re-motivational Therapy, where she helped to define the practice with over 25yrs of service. Marie leaves to cherish her memory, four children, Lisa Crofton, Carmen Martinez, Ken Martinez, Carl Martinez; one brother, Anthony Costa; seven grandchildren; one great grandchild and a host of other relatives and friends.